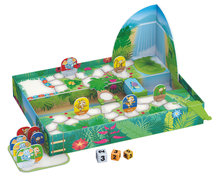 (PRLEAP.COM) Tactic Games' new Jungle Runners is the exciting new, original family board game where players have a team of animals that they have to navigate through the jungle themed board of obstacles. The unique challenge for this game is that each player has to navigate a set of three different pawns, that move at different paces, across the finish line to win. 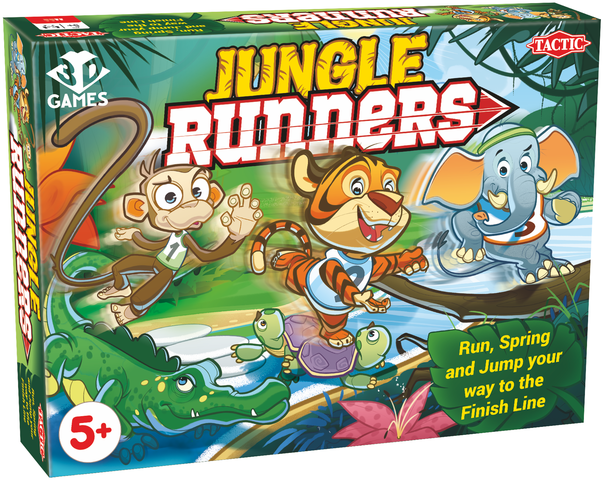 Jungle Runners (MSRP $19.99 for ages 5+) begins on a sports day in the jungle. Players each have a team of animals that they need to navigate through the jungle. The first team to get all of their animals to the finish line wins. Knowing the strengths and weaknesses of your animals is the key when different animals can use short cuts. Meanwhile, obstacles like the falling tree, spinning turtles, or the crocodile's tail could slow your team down. Every roll of the dice matches an animal and a move that determines how the team tries to stick together. 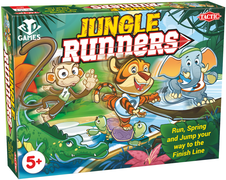 Jay Knox, president of Tactic Games USA, said, "Jungle Runners is one of our focus products this year as a great new addition to one of our best-selling categories, family games." Tactic Group® is an international and fast growing developer and marketer of board games in Europe, now continuing its success in the U.S. and Canada. For more than 50 years, the Finnish board game company has provided consumers with innovative, high-quality products that have been warmly received by the public, including award-winning Mölkky®, Alias and iKNOW® games. Their mission is to produce entertaining games that offer moments of genuine delight and entertainment to family and friends the world over. To discover more about Tactic's wide range of games, visit www.tactic.net/USA and get all of the most up-to-date, immediate information by interacting with the company on its social media channels: Facebook, Twitter, Pinterest, Instagram and YouTube.